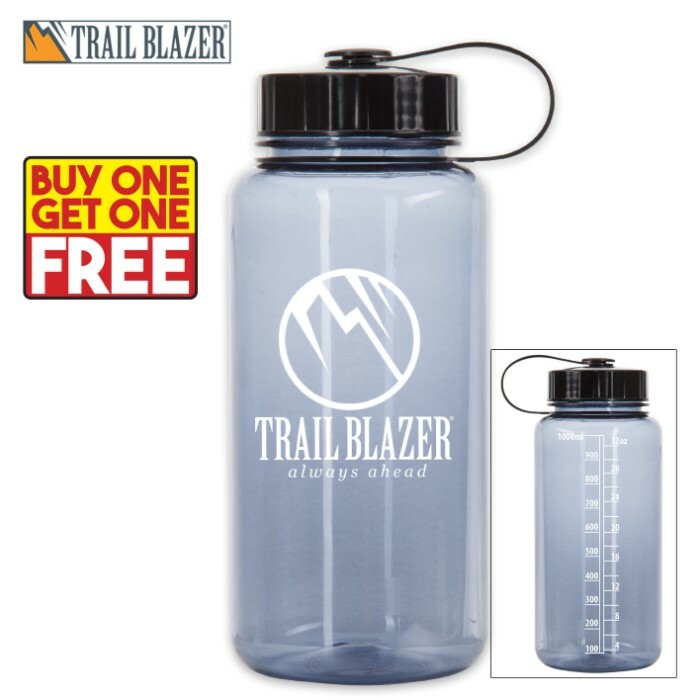 Trailblazer 32-oz Water Bottle - Smoky Gray - BOGO | BUDK.com - Knives & Swords At The Lowest Prices! You gotta stay hydrated! The 32-oz Water Bottle from Trailblazer is perfect to drop in your pack when you’re hiking or when you’re participating in any outdoor activity. The 32-oz bottle will help you keep track of your water intake with the easy-to-read measurements printed on the side. It features a lid with a sports-style opening. This is a durable water bottle that will last and last. Don’t settle for a lesser quality!